You can also contact your local county extension office for more information on soil types in your area. Soil test kits are inexpensive and can be found online or any garden supply retailer. 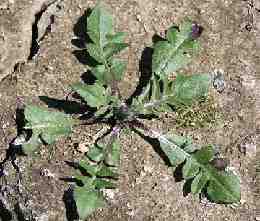 Getting to know your weeds can be instructive in knowing what amendments to add to increase soil fertility that make it harder (or less desirable) for the weeds to survive and easier for your vegetables to thrive. In assessing soil, we usually talk about whether it's alkaline or acidic. This is where the pH scale comes in. This scale refers to the parts of hydrogen ions in an element; in this case, the soil. The concentration affects the availability of nutrients to plant roots. The pH scale runs from 0-14. With 7 being neutral, anything below that is acidic, above 7 is alkaline. Areas that receive high rainfall (Eastern U.S. and Pacific Northwest) tend to have slightly to moderately acid soil. This results from leaching of the more alkaline calcium and magnesium salts from the soil. Plants favoring an acidic environment will be found within the pH range of 5.0-7.0. Areas of very little rain to desert conditions will be moderate to highly alkaline. Alkaline-loving plants will be found between the 7.0-7.5 pH range, generally. Areas receiving light to moderate rainfall (central parts of U.S.) are generally pH neutral. 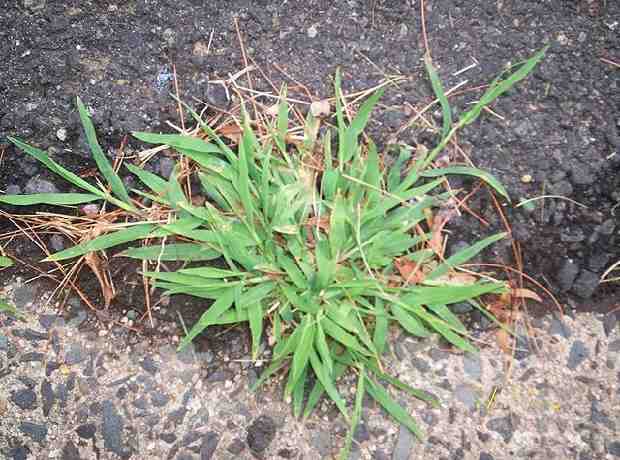 Some weeds will grow anywhere whether fertile or very little soil fertility, thus there will be a few showing up in several soil types. Purchasing a pH litmus test kit can be helpful in your assessment. 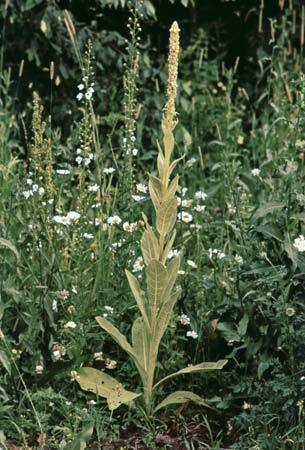 Mullein can be left, if you prefer, for herbal use or dug up after a good soaking in the fall, before it goes to seed. 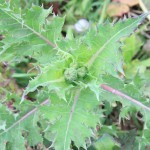 This weed's flower stalk can be 12-15", but the flower head looks very similar to the dandelion's. Also can be dug out after a good soaking, before it develops its 70,000 seeds per plant!. This is a perennial plant. If you don't get all of the taproot, you'll see it again in the spring! Digging them out during their first year is best as they don't produce seed the 2nd year. On the upside,QAL also acts as a trap plant for insects that would otherwise attack your prized flowers and veggies. Applying in the fall so winter rain can aid in decomposition will go a long way in reclaiming this soil situation and increase soil fertility. 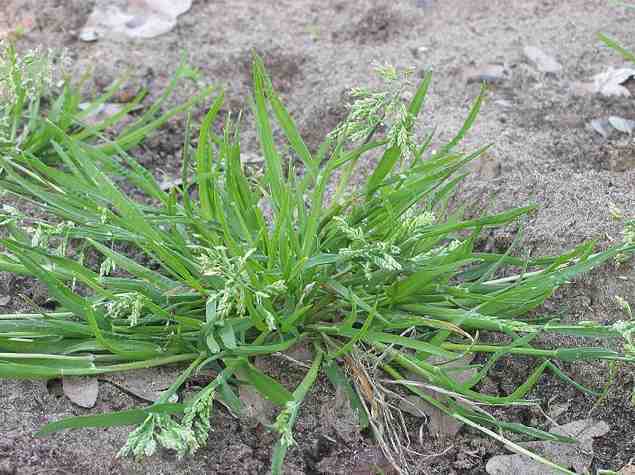 This weed grows in all areas of the U.S. Favors low calcium, dry areas and low levels of organic matter. 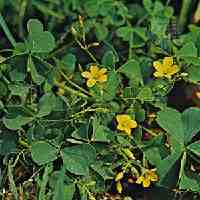 If it's in a lawn area outside your garden beds, it will find its way into your beds. 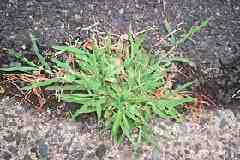 As crabgrass favors low calcium, like dandelions, you may want to try this organic tip. 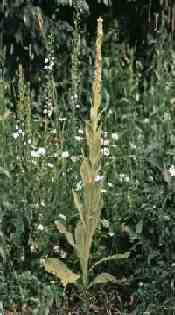 Can be found in sunny, moist to dry, rich, disturbed soil, but will also grow in partly shaded, extremely poor soils. A single plant may produce a couple thousand seeds, and the seeds may remain viable for many years. To control this plant, pull it up before it goes to seed, and use mulch where possible, as the seeds remain dormant in the dark. This is a type of clover, but it develops a burr-like seed head (see cluster on left side of enlarged image). 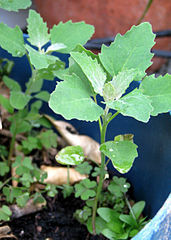 One plant can grow out in all directions or just one for a distance of 2 ft or more. It is relatively easy to pull out. Compacted soil can happen with any kind of daily foot traffic (especially when ground is wet) and most definitely by motorized vehicles (tractors, lawn mowers, etc). 10% -20% worm compost will go a long way in changing the texture and soil fertility. With the added microbes and worms aiding in soil fertility and helping to break up the soil, you don't need to break out the old rototiller or spend hours double-digging. Churning the soil like that only harms the existing microbiology, particularly fungi. Adding 23-30 lbs of gypsum per 1000 sq.ft. will help to loosen things up. not a quick-acting agent, but over 2-3 years will naturally penetrate the compacted strata. will allow air and water into the newly created spaces. 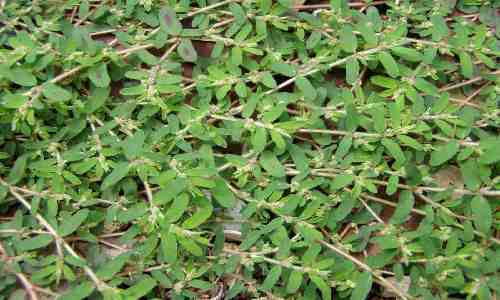 also contains some calcium and sulfur which are plant beneficial. Follow in the Spring with more composted material added to the surface of the bed and planting can be done directly in this top layer, adding a handful of worm compost to each transplant or sprinkling along the seed trench. Finding weeds growing in this soil type, especially in larger numbers can indicate a good amount of organic matter. Dandelion grows in areas low in calcium, but has a long tap root which helps to aerate the soil and bring up minerals from the subsoil, making the young spring leaves chock full of minerals (if used as an edible herb). Tip: For a chemical-free dandelion deterrent, apply a fungi-rich compost or compost tea to the plant. The fungus exudes a slime which dissolves the calcium in the soil, making it available to the dandelion(s) and eliminates them. rich soil. Can grow up to 4 feet high. Make sure to wear heavy-duty gloves on when digging this out. Red or white Clovers- these plants have nitrogen-fixing nodes that transport nitrogen from the air into the soil, a natural way of increasing soil fertility. I transplant the clovers to my chicken pastures as their value to soil fertility is too great to just throw on the compost pile. If left in your garden until Spring, they can be turned into the soil as a green manure. 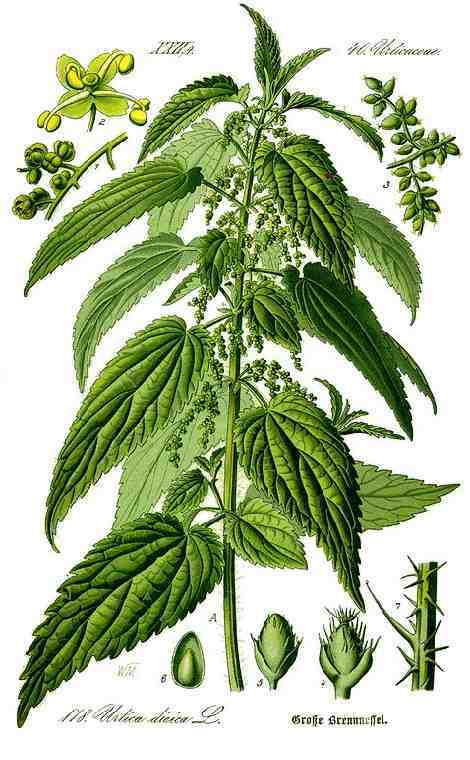 This is a relative of Amaranth. The seed head on the weedy cousins produces thousands of tiny seeds too. Root system is quite shallow, so hoeing or pulling them up while their small will very easily eradicate them from your garden area. Disturbing the soil surface in the Spring usually will take care of any that are sprouting. I let these come up in my raised beds and harvest them throughout the summer for salad greens and omega-rich greens for the chickens. Highly acidic soil should have between 7-9 lbs of calcitic lime/100 sq. ft applied in the fall. This is a slow-release form comprised of calcium carbonate. < b> may also be used and can be purchased at most feed stores. Mildly acidic soil requires about 5 lbs/100 sq. ft.
Dolomitic limestone contains calcium and magnesium. Using this form of lime would be most beneficial if your soil was Mg deficient. Doing a soil test would answer that. Wood ash from a wood-burning stove or fireplace is a natural, fast-acting alkalizer. It is generally recommended that no more than 25 lbs of ash/1000 sq. feet should be applied and even that may be too much if you're only trying to achieve a small pH increase. If that's the case, only use half the rate. Mix in well and test. Remember, you can always add, you can't take away. Since soil fertility is dependent on all essential nutrients getting to the roots, adding microbes through the use of worm compost is the most cost effective and natural way of releasing those nutrients. As stated before, areas that receive high rainfall (Eastern U.S. and Pacific Northwest) tend to have slightly to moderately acid soil. In addition, wherever you find pine and oak trees, you will usually have acidic soil. 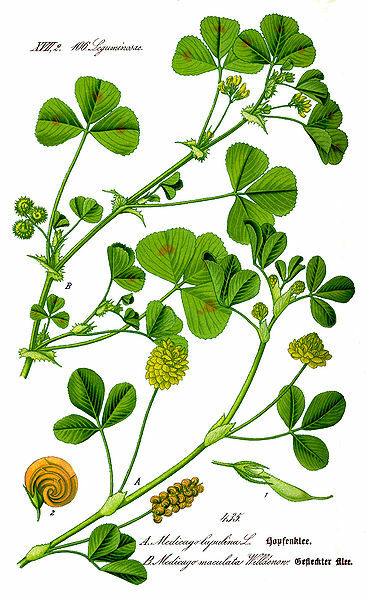 Another clover-type similar to Black Medic. Even though their nitrogen-fixing is important for soil fertility, one plant can easily take over a garden area. 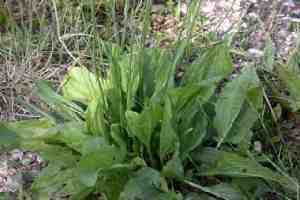 With a good soaking sorrel is easy to remove. This stuff pops up all over the place and can set several generations of seed in one season. Flipping them out of the ground with a 3-pronged hoe and exposing the roots to the sun, will quickly turn this weed into organic matter for the compost pile. TIP: Making your plant spacing a little closer together can form a shade canopy which makes it harder for the grass (or any weed) to sprout. After your plants are 4-6" tall, apply a 2" layer of mulch which works wonders in keeping all things weedy from sprouting. With their long tap root, they help by forcing clay soils to open, making pathways for water and air. This weed loves moist, fertile places. 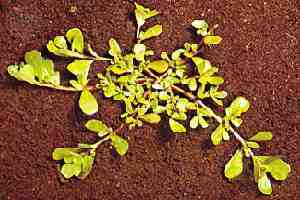 They have a very short root system, but hold their ground tenaciously, making it almost impossible to pull out if the soil is on the dry side. Watering the area and using a weed digger pops them out. Best to get them before the flower stalk appears. To increase soil fertility and change pH, follow recommendations for fertile/acidic. Generally speaking, arid or desert areas produce alkaline soil. It only takes a few plants of this weed to overtake a bed! I'm usually pulling it out in May-June. With the mulch layer I've been putting on the beds in Fall, I'm seeing less and less of it, but it does create a lot of biomass that can be tossed on the compost pile or chopped up and fed to the worms or chickens. 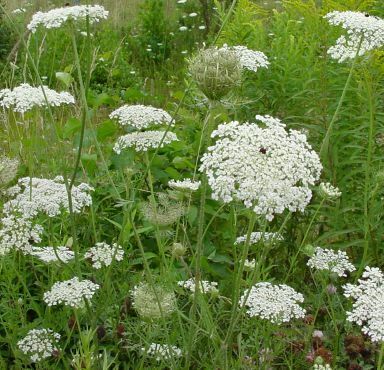 A summer annual weed that grows out in many directions from a shallow tap root, forming a dense mat of vegetation. Very easy to pull out. Adding thermophilic compost mixed with worm compost to lower pH. Adding gypsum, calcium sulphate or powdered elemental sulphur will also help lower pH, depending on how alkaline the soil and how acidic the amendment. 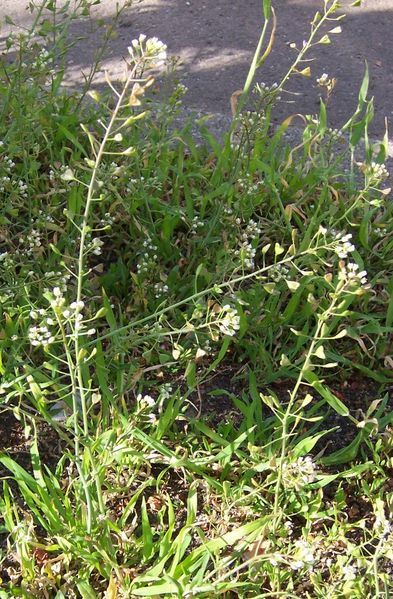 For identification of weeds specific to California, U.C.Davis has an informative site. These non-domesticated plants will always be with us. Most have herbal qualities, some are a real problem. 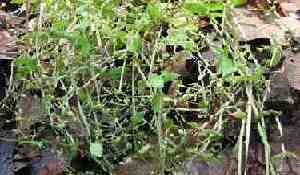 It's just a matter of extricating the most invasive of these plants and controlling the rest so they don't take over. As I have noted above, most, if not all of them are soil builders in one way or the other and aid in soil fertility. Finding the balance of peaceful co-existence with our weedy friends might be the better part of gardening valor.